Still on the fence on what controller to use with your PC? 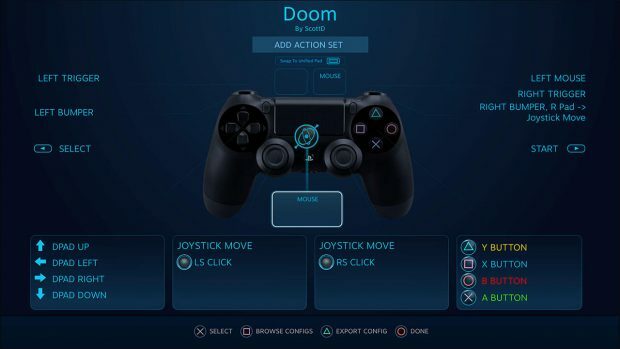 I’m a bit biased to the DualShock controllers so it’s a happy coincidence that Steam will be adding full support for Steam (and by extension games that have steamworks). This update will allow players to use the DualShock 4’s touchpad and gyro features. Previously, to have proper (or not) controller support, we need to install a third party program or use the Xbox wired controller (something that won’t be pleasant if you’re not acclimated to the Xbox controller setup). Once the new update hits, all you need to do is plug it in (or get the DS4 dongle for Windows) and play. The incoming update will also include support for other controllers so don’t worry Xbox fans, you’re still in the loop.